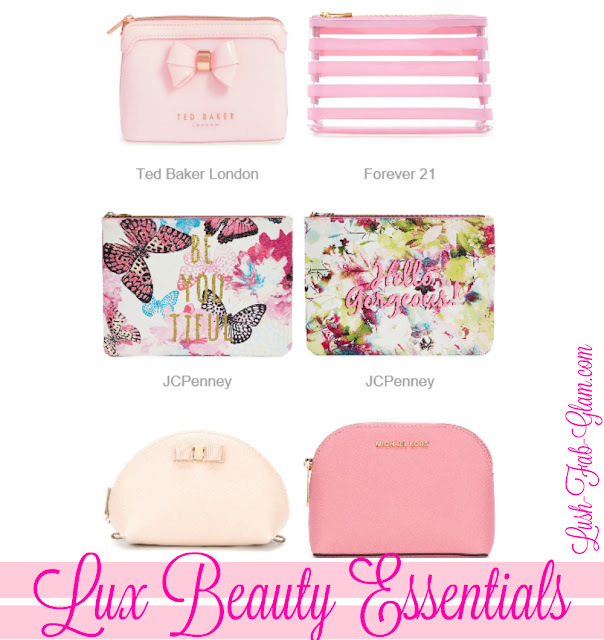 Lush Fab Glam Inspired Lifestyle For The Modern Woman: 15 Plus Lust Worthy Makeup Bags. 15 Plus Lust Worthy Makeup Bags. Lux Beauty Essentials: 15 Plus Lust-Worthy Makeup Bags. Whether you are a makeup lover, obsessed with trying every cosmetic brand or simply get dolled up for special occasions. Pretty bags that fit in your handbags, totes, messenger bags, purses or clutches that you can use to safely store your beauty products and makeup while on the go or travelling is a must! Get Lux: See more colors, styles and get product details by clicking on the makeup bags featured above. What's your favorite makeup product and which featured makeup bags are you lusting after? Share with us by leaving a comment below.